A waste pulper is the perfect product to help you reduce the volume of waste you need to remove and increase your kitchen’s efficiency. These units break down kitchen waste, like food, disposable utensils, and condiment packets, by grinding them into small particles. Then, the liquid waste is sent down the plumbing while the solid waste is disposed of in a trash can. The result is a drastic reduction in waste volume, so your staff will spend less time transporting trash bags to the dumpster. 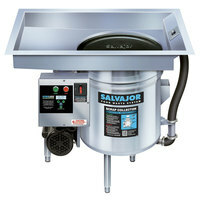 Each waste extractor is designed for continuous use and can process hundreds of pounds of waste and hour, so you can be sure it can keep up with your busy kitchen’s demands. 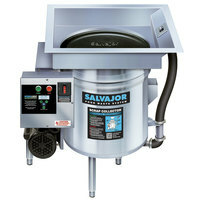 These units are also easy to clean and maintain so your waste pulper system can stay running the way it’s supposed to. Each one has a sturdy stainless steel construction and a powerful disposer to quickly grind, separate, and dispose of waste.